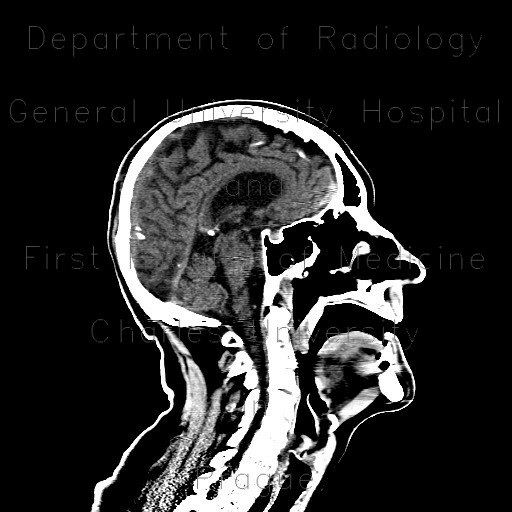 A patient, who sustained contusion of the skull with subcutaneous hematoma in the parietooccipital region, underwent CT of brain. Initial scan showed several dense foci in both frontopolar regions. This finding always has to be carefully interpreted, as in this patient, apart from beam-hardening artifact also small contusion foci were present. On follow-up examination after 24 hours, a full-blown image of contusions can be appreciated. Note also development of subarachonid hemorrhage around the occipital lobe.